The holiday season is most definitely upon us, as was evidenced by the wonderful holiday cheer on the streets of NYC last week. It was great to be a part of the initial festivities, along with the political energy surrounding the election. As we prepare for Thanksgiving next week and get ready to close out another great year, I can’t help but ask myself, “what is everything that I need to do and make happen before the year ends?” For one, reflect on everything that went well so we can do more of it, and everything that didn’t so we can learn from it. On behalf of our whole team, we hope you have a wonderful holiday next week filled with fellowship, friends, family, and fun and we also hope you have a chance to reflect on your year, and be grateful for all that was. Happy Thanksgiving to you and yours! Eyes on New York and Florida! MAD-learn blanketed cold and windy New York this month, as Alefiya led presentations on the shifting job landscape and how we can prepare students for the future for both the STEAM Academy group of districts from LHRIC (Lower Hudson Regional Information Center) and the CTE team at PNW BOCES. Kimberley also ran a live Nassau BOCES “Build Your Own App” session on Long Island for an eager audience who was keen on bringing exciting opportunities to students. Kimberley puts the Nassau BOCES representatives through their paces (left). Alefiya with our NY representative Michele, and the wonderful folks from the Lower Hudson Regional Information Center (right). Gregg, on the other hand, enjoyed sunny Palm Beach Florida training a new group of teachers at The School District of Palm Beach County! If there were awards handed out for most immediate implementation of MAD-learn, Josh Bateson would be the hands-down winner! The St. David’s Public School teacher in the District School Board of Niagara was trained on September 19th. Within 24 hours of training, he had successfully created his student accounts and was ready to rock and roll with them! 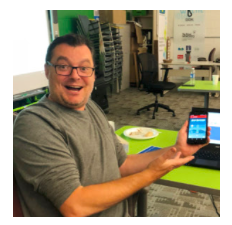 Here, you can see how excited Josh is after building his own app and learning about MAD-learn. We can’t wait to see what he creates with his students. 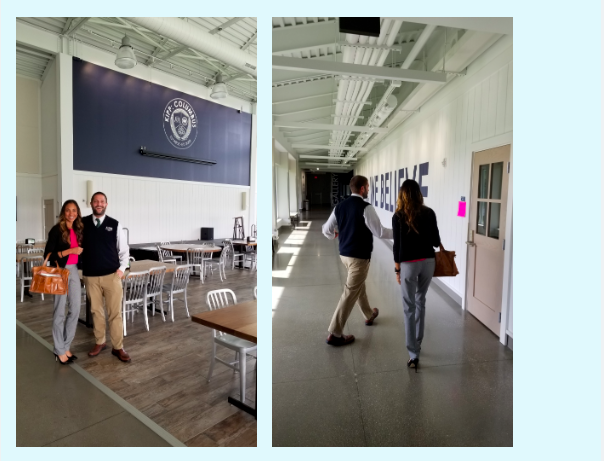 … looking up this super star principal (Alex Thanos) and the amazing team of passionate and dedicated teachers that he has built at KIPP Columbus High School. Meeting him with our local representative Shalla Johnson, was a treat!